This morning I packed up a copy of Book Proposals That Sell. An order for the book came into my shopping cart. I've developed a little pattern of printing the packing receipt, the label and getting it ready to take my post office. When I look at what other authors are doing with their websites, they often send their buyers to Amazon. I understand these authors make this choice because it is easier for them and they do nothing additional and many people already have all the buying details set up on Amazon. 1. Make more money through selling directly to the reader than through Amazon or some other places. I purchased these books at a steep discount (something authors need to think about when they contract or create a book). You don't need a shopping cart like I use and can simply use a free PayPal button for the sale. Most readers have a PayPal account so this option is easy for them to use. These readers get the book directly from you and if they prefer it to be autographed, then they have this possibility since they've bought it from the author. 2. Personally touch my readers and add them to my email list. You can learn more details about creating an email list here. My shopping cart is also where I send emails to my list. Every author needs to create and be adding to their email list. More and more editors and literary agents are looking for authors who have email lists and can directly reach their readers. For my case with Book Proposals That Sell, I have an additional reason. This book has been on the market for a decade. Recently I got a One Star review on Amazon because of the out of date information. Admittedly publishing has changed since this book was first published. Yet the book has over 130 Five Star Amazon reviews. Now I've lowered the price from $15 to $8 and I've “fixed” all of the out of date websites. If you buy the book through my website, then you get these fixed websites through an automatic email (called an autoresponder). Plus you receive other unique bonuses which I've created. Notice my intentional planning: the only way for the reader to get these “extras” is to purchase the book directly from my website. 3. Provide the reader additional value and give them the opportunity to go deeper in this subject area. I wrote Book Proposals That Sell as a frustrated acquisitions editor. Later I wrote and developed other products in the book proposal creation area. I have a 12 lessons course called Write A Book Proposal. 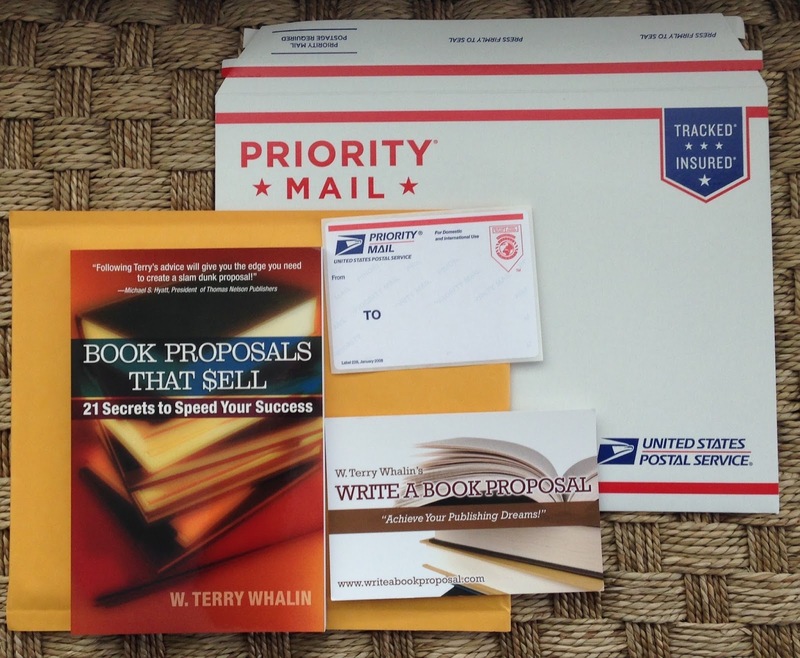 I have a CD package called Editor Reveals Book Proposal Secrets. Finally I have a teleseminar called Proposal Secrets where I interview a number of publishing colleagues about book proposals. To be honest, packing books is not my favorite task. 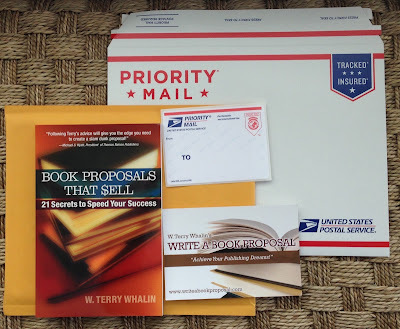 In addition to having a way for the reader to give you money, mailing supplies like labels and priority envelopes) have to be kept on hand. I've gotten the process down to a few minutes for each one. I'm committed to continuing to mail my own books. As an author, you have the greatest vision for what can happen with your book and the deepest passion for it. Let your passion show in how you sell your book. Hi Terry...I also pack and ship my own books...readers tell me they love the personalized copy! I sign each one and add an autographed sticker to the cover. Thanks for the post. Thank you for this comment. Your personalization of books is wise. Keep up the good work. Thank you for this comment and pointing to your website which has great resources.